We use various types of research methods and state of the art equipment to characterize the materials used in our research. The first step in each characterization is to check the structure and purity of the material. This is because, together with elemental composition, structure is the main contributor to all material properties. The analyses are carried out using X-ray diffraction (XRD). Computational methods can be used if the structures are unknown. For metal-organic coordination compounds, nuclear magnetic resonance (NMR) spectroscopy is also essential to probe the structure and to distinguish the ligands. We use NMR as well as FTIR and Raman spectroscopies also for ionic inorganic compounds to complement XRD information. 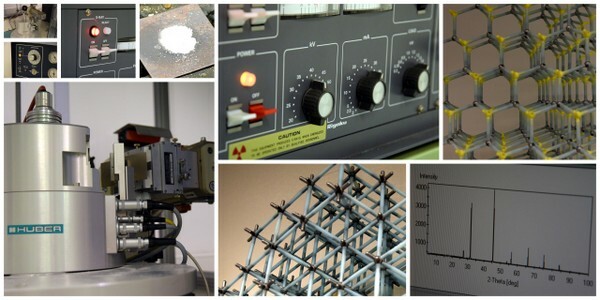 For elemental composition, we use X-ray fluorescence (XRF) measurements. 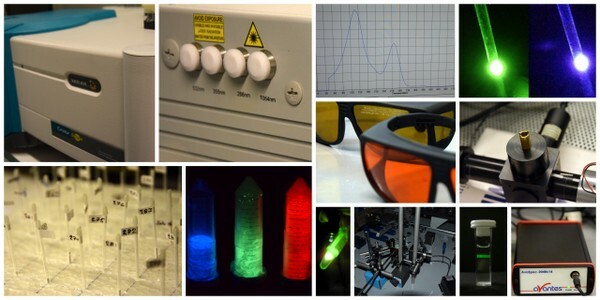 For measuring the luminescence, our most widely used methods are the basic luminescence and persistent luminescence spectroscopy obtained with different excitation sources and wavelengths. With up-conversion materials we have equipment with the near-infrared (NIR) source for the up-conversion to happen. From all of the luminescence materials the luminescence decay can also be measured. Moreover, thermoluminescence (TL) is used to characterize the optical energy storage properties. In addition to these methods, we also frequently employ the following spectroscopic techniques: electron paramagnetic resonance (EPR), extended X-ray absorption fine structure (EXAFS) and X-ray absorption near edge structure (XANES).